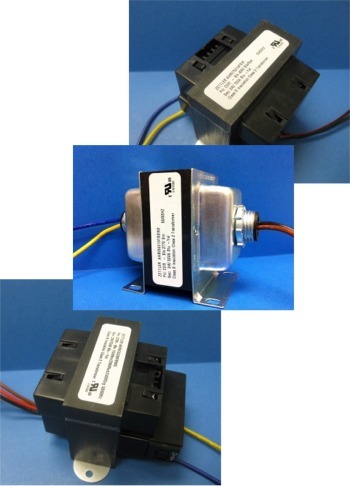 In an ongoing effort to increase competitiveness in the Class II, chassis-count transformer market, Zettler Controls is pleased to announce the introduction of the AHRV series. The AHRV series is a significant complement to the existing AHR series in that a much wider range of VA ratings and product features will now be available to Zettler Controls customers. The AHRV series offers power rating from 20-100 VA, input voltage range from 115-480 VAC, and output voltage range from 2.5-24 VAC. Among other features are: a “bell housing” style case; inline fuse; external resettable circuit breaker; multi-tap secondaries; and various termination styles. The AHRV is ideal for lighting, HVAC, food equipment, and panel building applications. In addition, manufacturers of motor controls will appreciate the diversity of Zettler’s new product offerings. The AHRV is well-positioned to launch into the competitive Class II transformer market, and Zettler Controls is committed to offering the very best product to suit the needs of the most demanding customer!